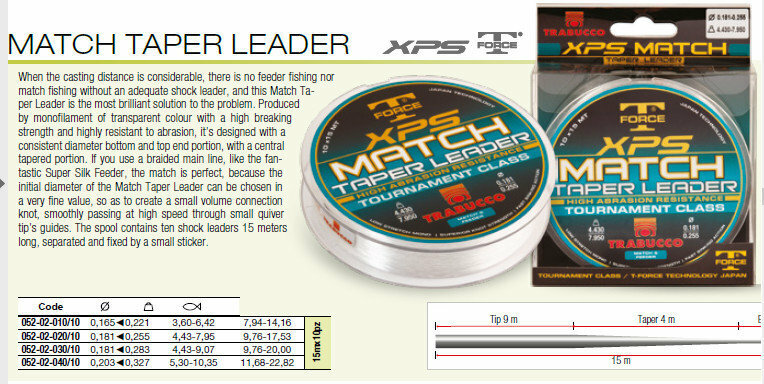 Trabucco XPS Match Tapered Leaders for feeder fishing 10 leaders 15 m long £1.00 per leader ! 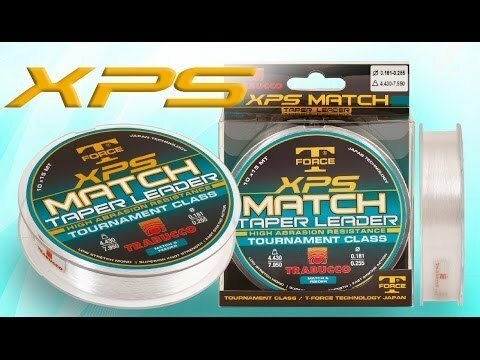 When major distance is required, there is no match or feeder fishing without the TAPER MATCH leader, which is the best solution in this situation. 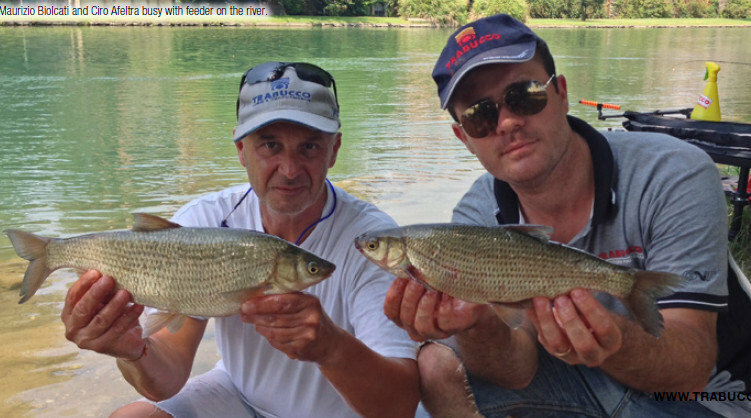 Perfect for casting the heavy rigs with bait. This conical monofilament is transparent and has superior resistance to traction and abrasion of constant diameter. The spool 10 separate mono tapered leaders leaders each with a small adhesive label.